A dental implant is a permanent, surgical solution to replace missing teeth. 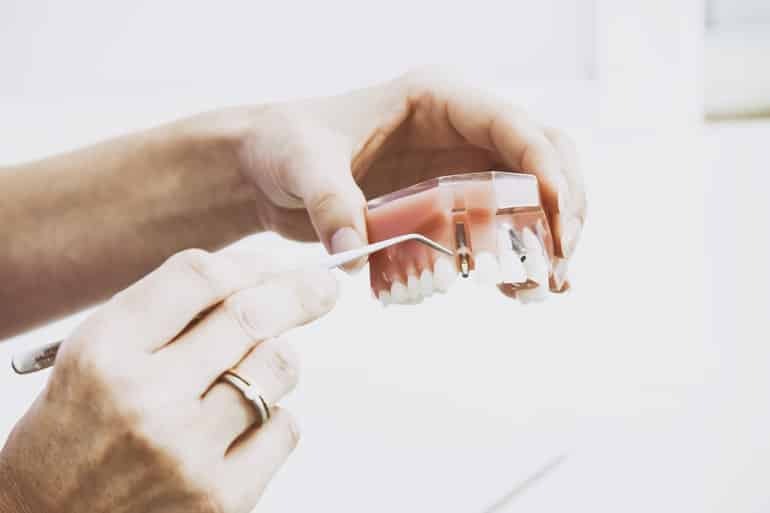 Unlike dental bridges and dentures, a dental implant is surgically placed into your jawbone to provide a strong, secure foundation for your missing tooth. Dental implants offer several advantages over other forms of tooth replacement. In addition to being permanent, dental implants do not require support from adjacent teeth, thus minimizing the impact to your natural, surrounding teeth. Dental implants also serve to strengthen your jawbone, preventing issues such as jaw collapse that can accompany dentures. Missing teeth are both a functional and aesthetic issue. Missing teeth may cause an awkward looking smile, but the larger issue is what happens to the strength of your jaw and bite when a missing tooth is not replaced. When you are missing a tooth, adjacent teeth will eventually slide into its place, altering the strength and alignment of your bite. This can lead to uneven tooth wear and more serious issues such as jaw collapse. Dental implants are a good solution for most people. If you're in good general health, have sufficient jawbone density, and are prepared for the dental implant process, which can take several months to complete, you are an Ideal candidate. If you do not have sufficient jawbone density, Dr. Kostirko can discuss bone grafting or alternative types of implants that may better meet your needs. Dental implants are a safe and effective way to replace missing teeth. The surgical procedure has general risks such as infection and excessive bleeding, and the implant itself may be rejected by your body. These instances are rare and great care is taken in the placement of your implant to help ensure against these complications.